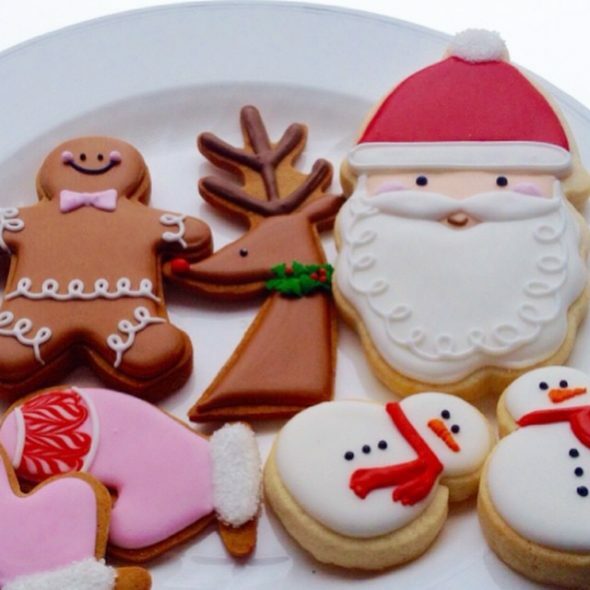 If you’re new to cookie decorating, they really are easy to make with some key tips I’ll be sharing below. Apologies for the poor quality of photos… Most of these were quickly taken with my iPad when I thought to! 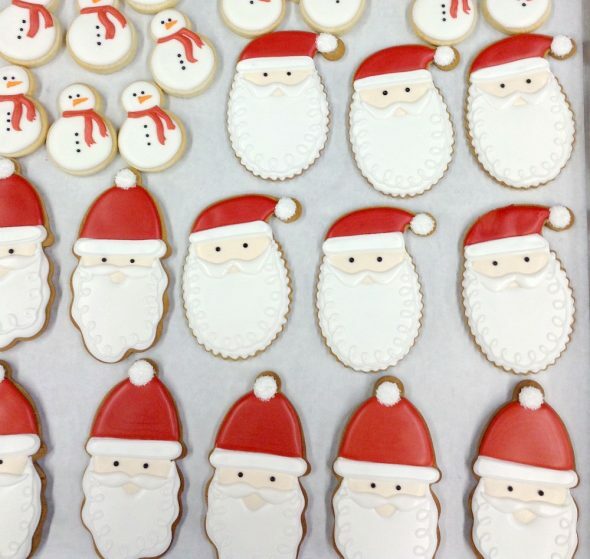 For all of these cookies the videos and links below will help you with cookie decorating basics, and I’ll share the specifics steps for the Santa Claus cookies below. So let’s get started! Chose a flavour from my recipe section. 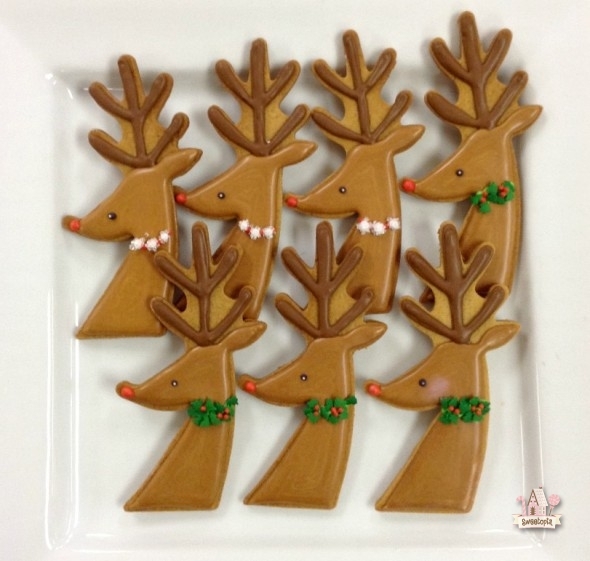 (Make sure you wait for the page to load so you can see the words “See More” and see all the cookie cut-out recipes). 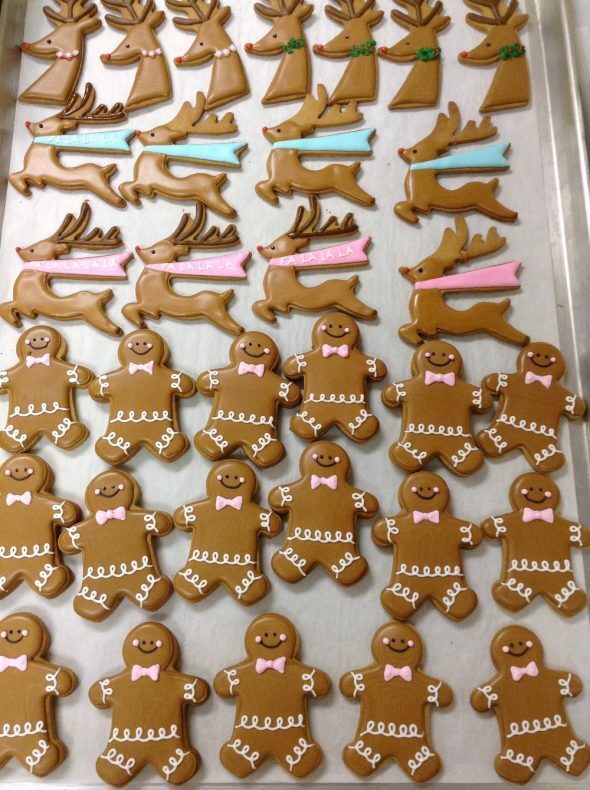 Tried and true, click here for my favorite royal icing recipe. You’ll need to have a certain consistency for flooding your cookies… Here’s a video on how to achieve that consistency. 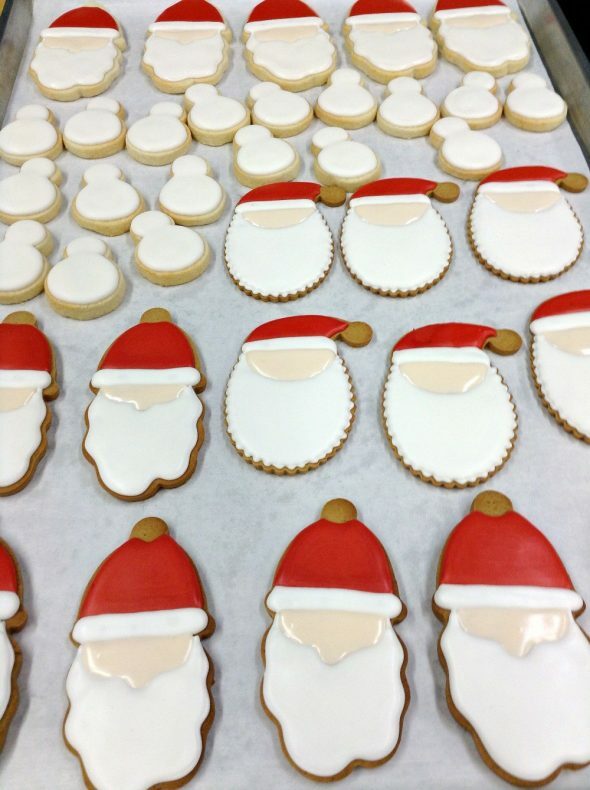 * The gel colors used for the Santa cookies are; Americolor gel colors red, white, brown, black and ivory. 1. Using a #2 piping tip, pipe the beard and hat (photo above), and let dry for at least 15 minutes. 2. Using tip #2, pipe the hat brim with white icing. Let set for 15 minutes. 3. 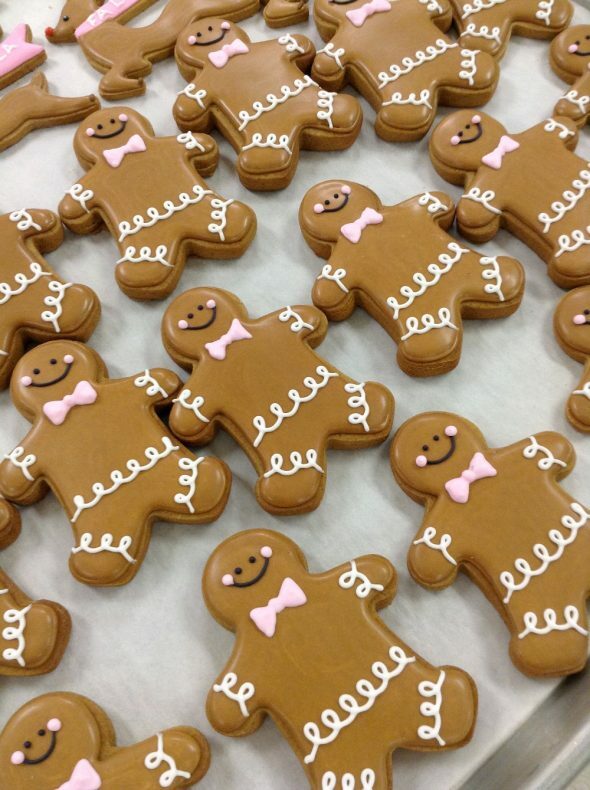 Using tip #2, fill in the face base with ivory icing. Let dry for at least 1 hour before you pipe the moustache or face details. 4. 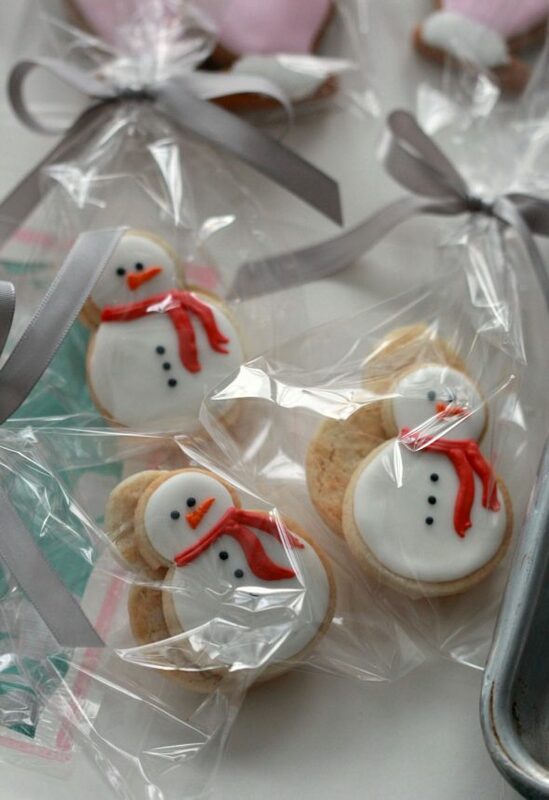 Pipe a white dot of icing on the top of the hats and immediately sprinkle with sanding sugar. 5. Using tip #1 or #1.5, pipe the swirly details on the beard and the outline on the hat brim. Pipe the moustache with the same tip. 6. Using tip #1 for all colors, pipe two black dots for eyes, pink cheeks and brown mouths. (You may want to pipe a nose as well. I tried a few with noses and preferred without after all). That’s it! 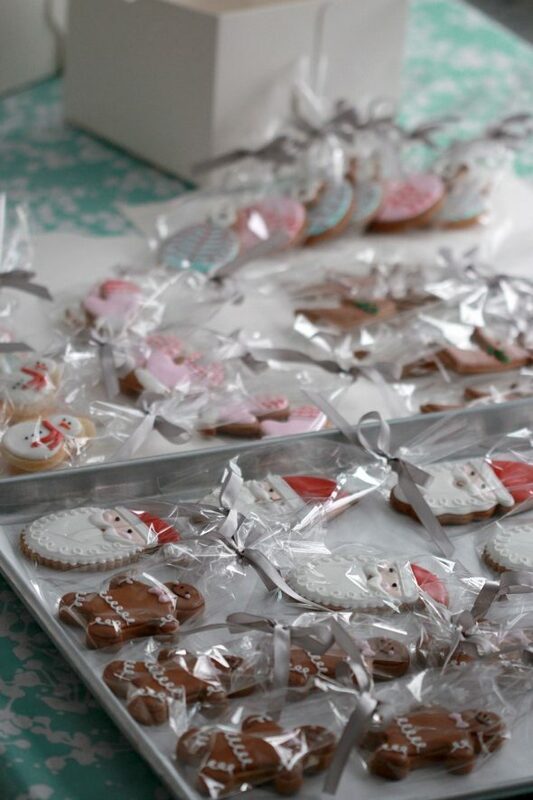 Let the cookies dry for at least 6-12 hours and place in cellophane bags with ribbon. Silver grey probably isn’t the best color choice for ribbon but I had lots left over from another project. 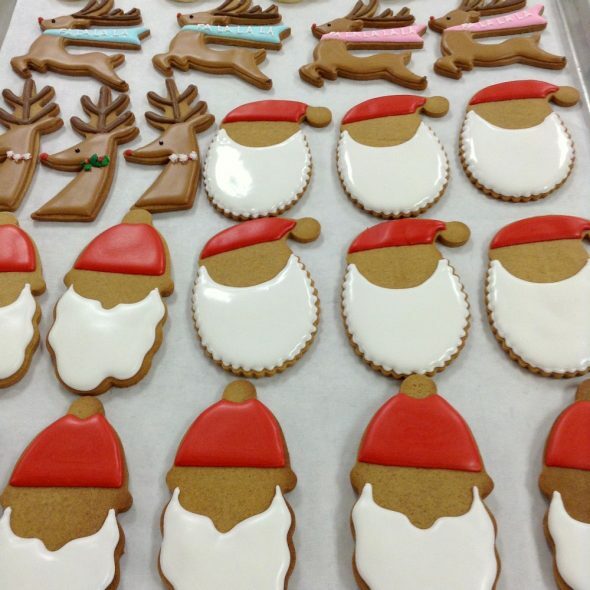 The santa and reindeer cutters by the way, are made by meri meri. I found both at Home Sense (Canada) which is Home Goods in the United States. You can also find them on Amazon (click here). . 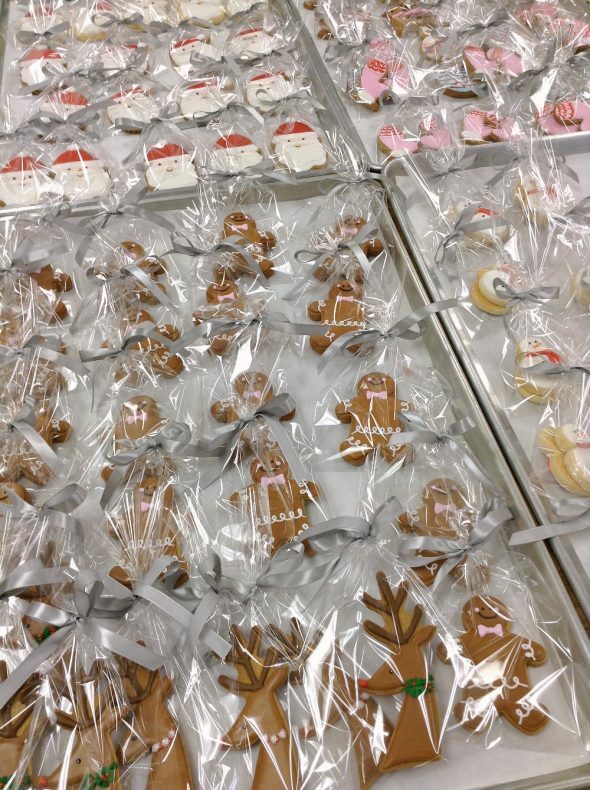 If you’d like to ship cookies, here’s a post for you on how to do that. 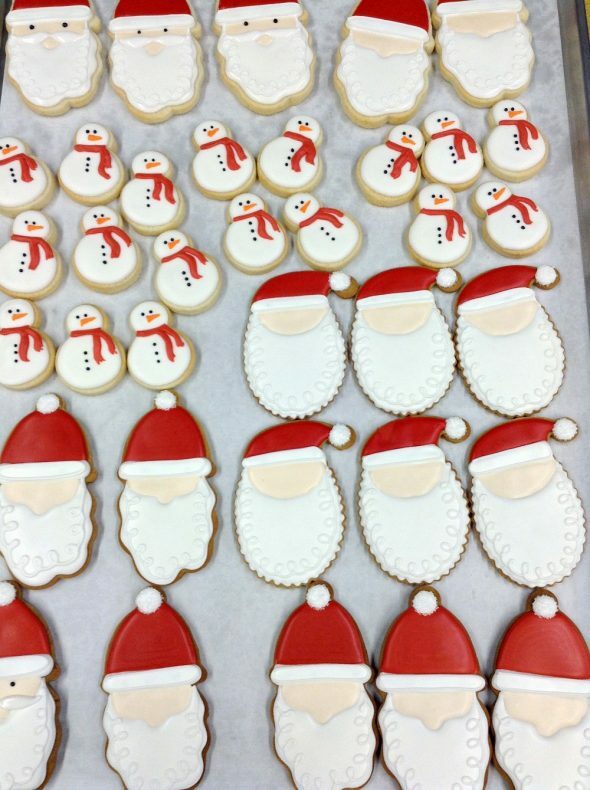 Wishing you lots of fun baking and decorating! Please feel free to share in the comment section what you’re making or drop me a line on Facebook, Google+, Instagram, Pinterest, Twitter or YouTube. Beautiful work,and lots of work too. Gorgeous like always! 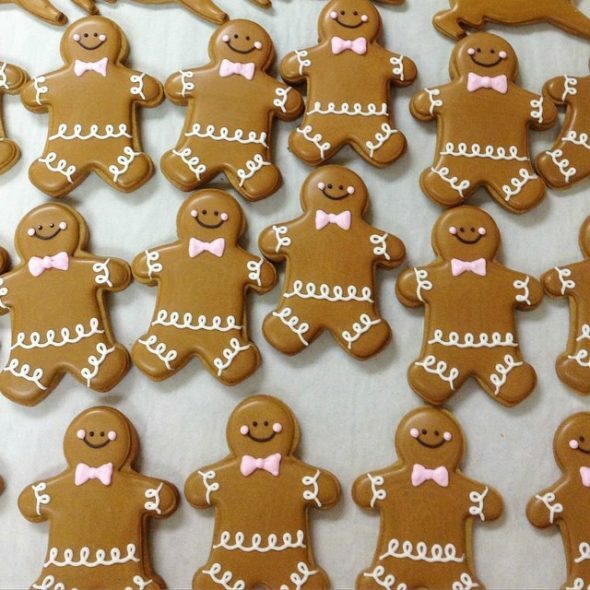 Have wonderful Christmas and a Happy 2016! 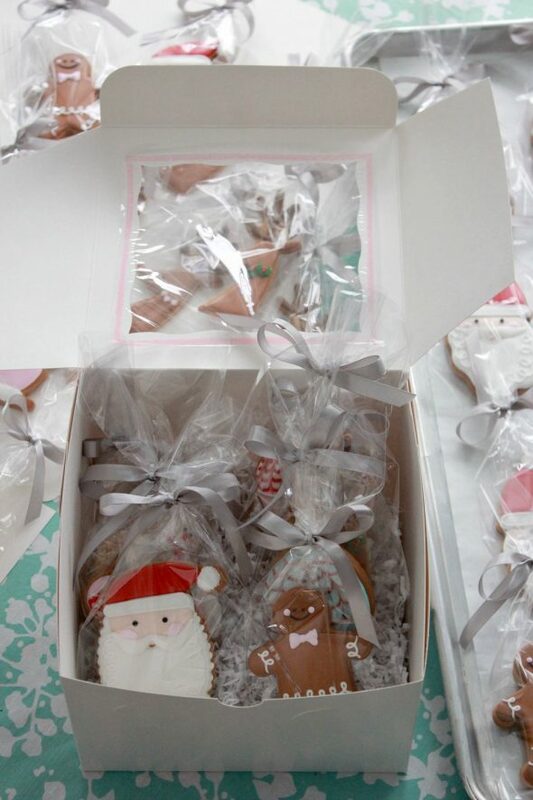 Rosie you always have the most beautiful sweets but your Christmas cookies always impress me the most! Just lovely. What a wonderful treat. Merry Christmas! 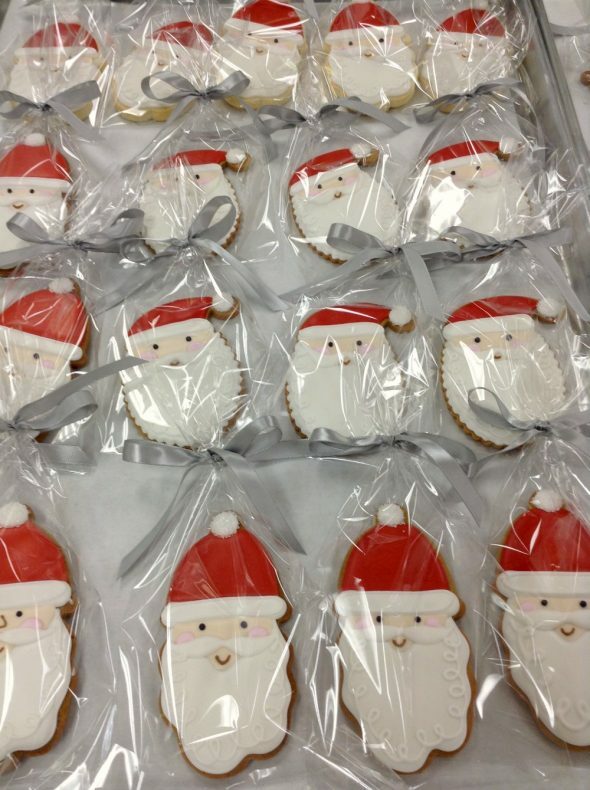 Marian, your cookies are delightful and so festive. 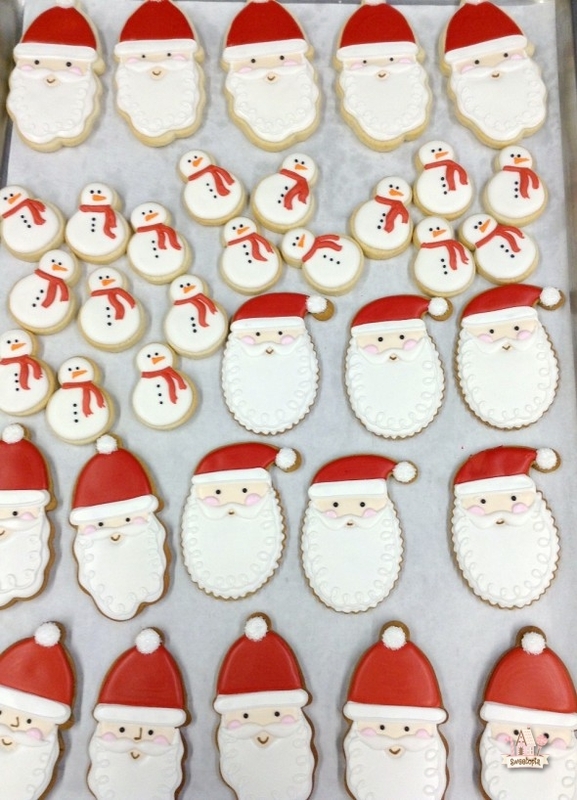 I’m decorating cookies this week so I was excited to see your post which has provided me with ideas and inspiration. 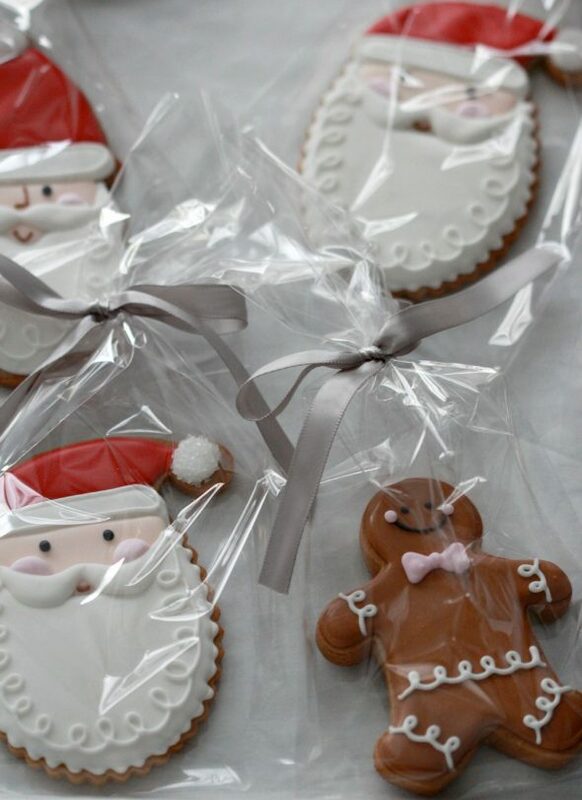 Have a wonderful Christmas! Thank you for your comments and Merry Christmas! Hello! I’m eating a sandwich in Beijing China and as I was reading the wrapper I realised they had directly stolen the words from the internet. I looked up a section of it and found this. Did you know your post is on sandwich wrappers in China? If you want me to send you a photo, send me an email. Fascinating! I’ll send you an email, thanks!